It was a Sunday morning and we were on our way to Blackpool. We made an impromptu stop at a car boot sale just outside the town. 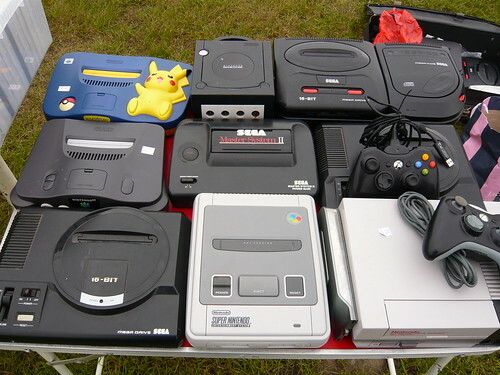 As usual we scouted the stalls for any gaming related bargains. 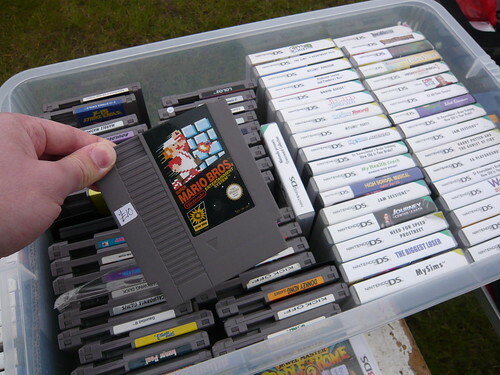 I didn’t pick up any games, but it was nice to find a stall with some classics. 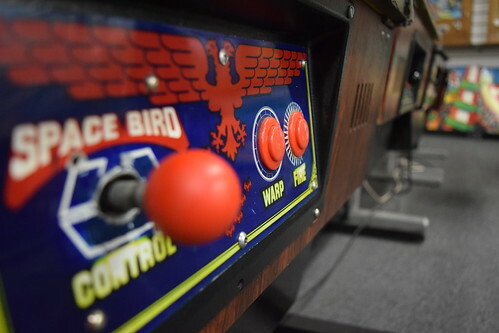 The first arcade we checked out was Brooks Collectables. 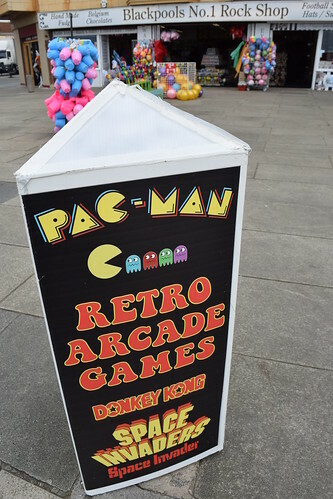 Located opposite the Waterloo Road tram stop, South Promenade, this venue has a vintage arcade featuring cocktail cabinets, dedicated machines and penny bandits. I especially liked the collection of cocktail cabinets. 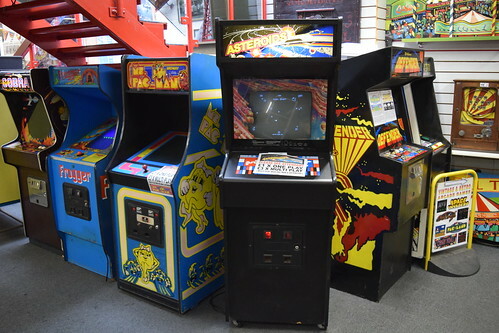 Games featured include Crazy Kong, Galaga, Pac-Man, Scramble and Space Invaders. Unfortunately the rest of the arcades along the seafront were less interesting, featuring mostly gambling and redemption machines. 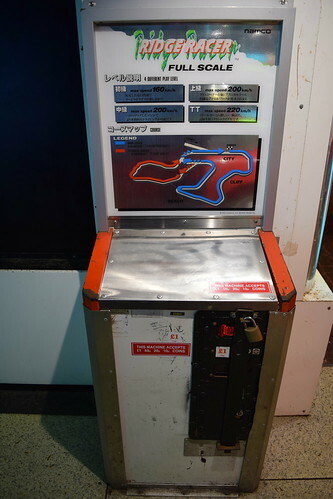 OutRun 2 SP SDX and Star Wars Battle Pod were highlights of a very limited selection. Walking through the back streets one evening, just one block behind the seafront, the decline is evident with dumped rubbish and rows of boarded up guest houses and buildings falling into disrepair. 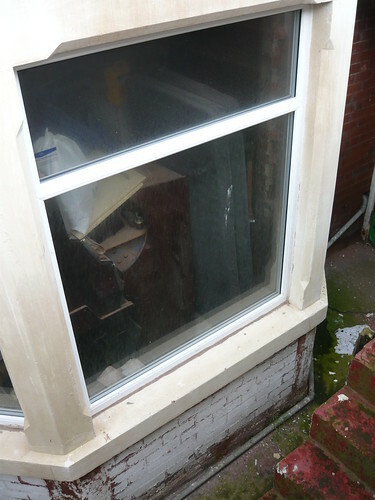 It’s a sad sight, tarnishing the feeling of seaside nostalgia. In the basement of one hotel my wife spied a generic Jamma cabinet sandwiched between a fruit machine and an old mattress. 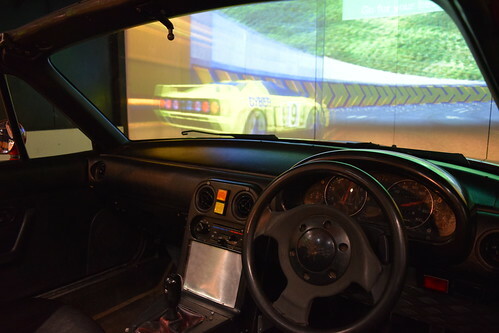 I was blown away to find Ridge Racer Full Scale. 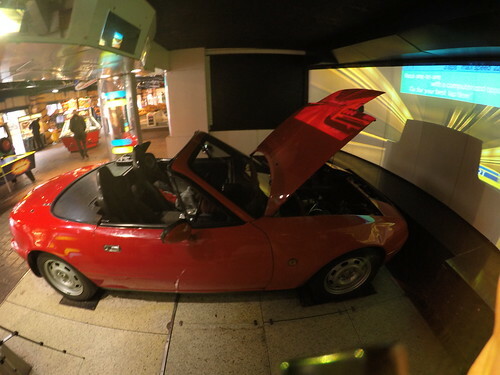 This must be the only Ridge Racer Full Scale still operating in the UK. 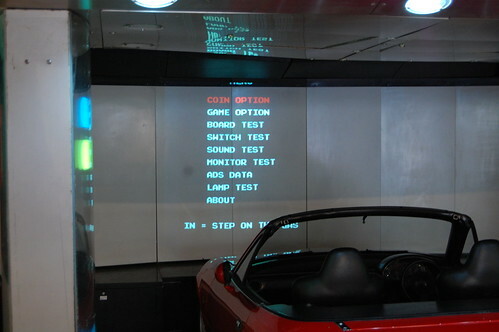 The game features an adapted Mazda Eunos Roadster and is played on a front projected triple screen. 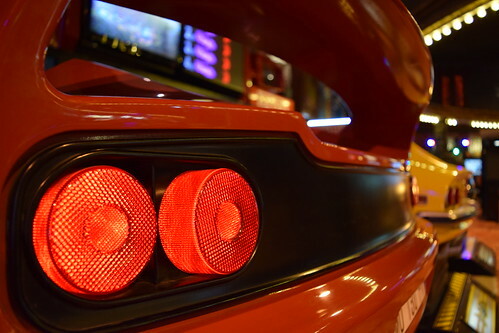 The car had a few faults. 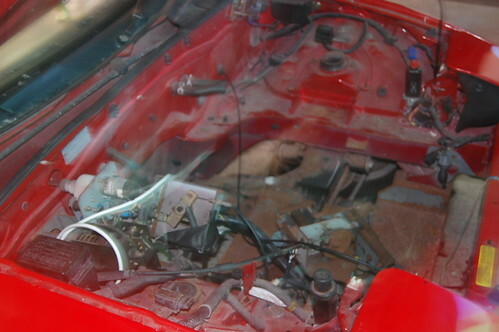 The gear shifter wasn’t functional, the stereo has been removed, the dash gauges weren’t working, and the air blowers didn’t work. 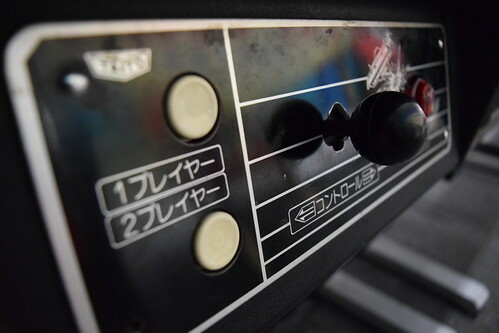 Despite these issues, the cab played well and was in solid condition for its age. Here is a video of me playing the game (very badly!). 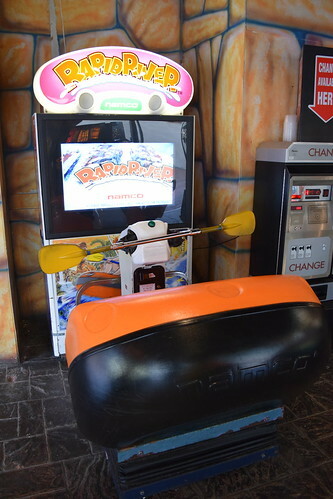 I was gutted when I visited an arcade in Leysdown-on-Sea, on the Isle of Sheppey back in 2014 only to discover that they had got rid of a Ridge Racer Full Scale the previous summer, and I doubted I would ever have the chance to play one. It was simply amazing to find one still operating. 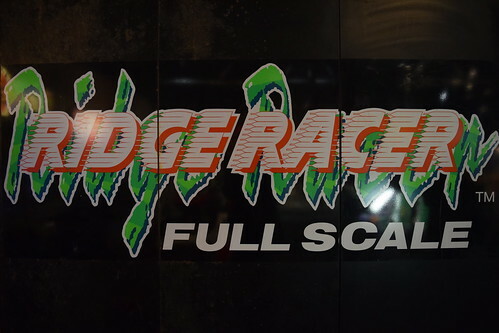 Ridge Racer Full Scale is an awesome experience, completely pulling you in to the game. It still impressed and was getting plenty of attention during our visit. 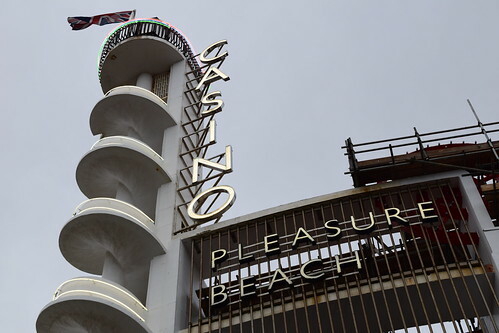 A massive well done to Pleasure Beach for keeping the game running in good, serviceable condition after all these years! For me this was well worth the admission price alone. Some more pics of the cab. 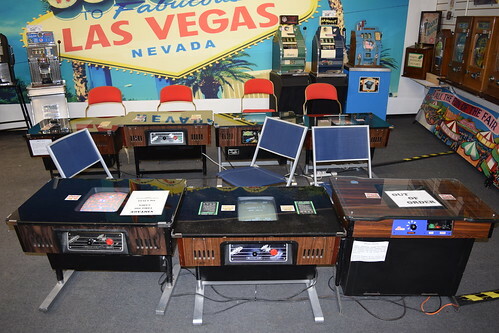 The following pictures are used with kind permission and remain the copyright of Jason Newman aka Rotunda, the current Twin Galaxies arcade and PlayStation world record holder. The service switch is behind the coin mech. 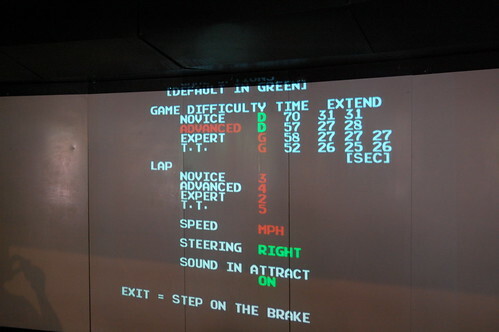 The game boards are located under the projector screens. 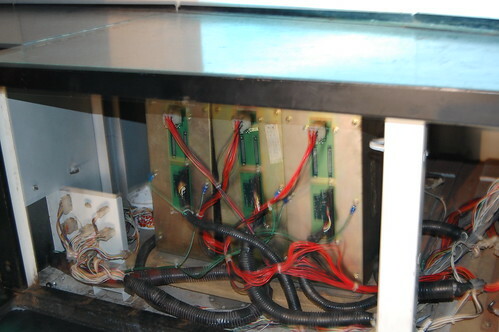 There are three single System 22 PCB’s, with each one powering one screen. 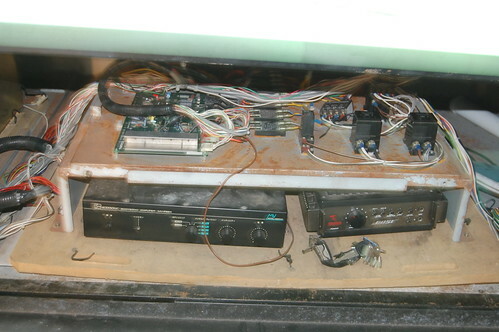 The old Bose sound system. 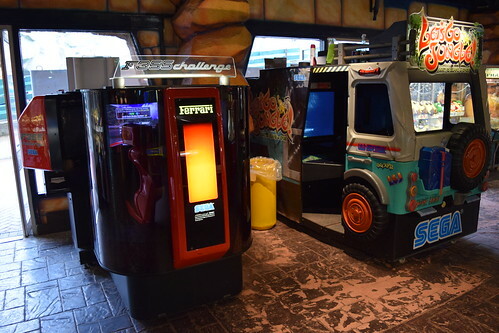 Here are some more pics of the Pleasure Beach arcade. Hiya. 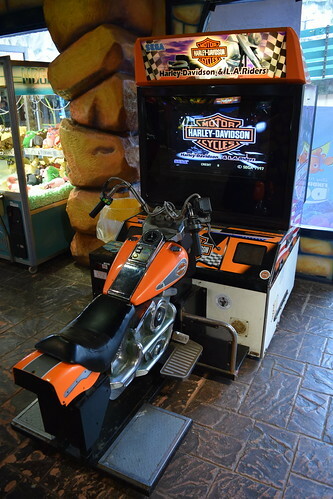 I've made a Blackpool arcades write-up from when I went a few weeks ago. 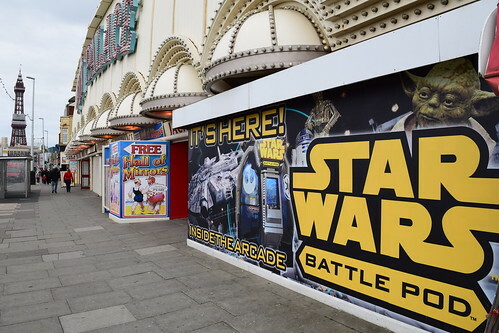 Not much has changed but you've missed a hidden gem of an arcade in St Annes Pier just down the road from Blackpool- there's some nice games there! While I didn't visit it I believe an arcade in Fleetwood has a Alien 3: The Gun too. Hi there. 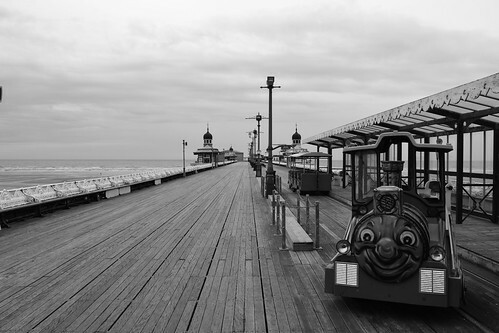 I'll have to stop by St Annes Pier on my next visit. 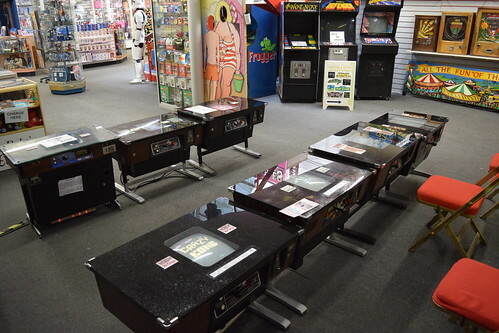 It's a pity Brooks Collectables was shut for refurbishment, it's a cool little vintage arcade and nice to see some classics along the seafront. 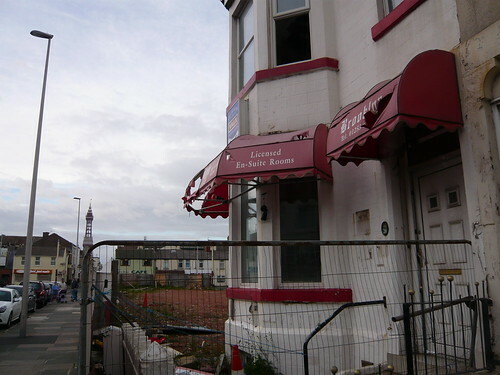 I was hoping to visit Retroland, a new barcade in Blackpool, but unfortunately it looks like it never got off the ground. 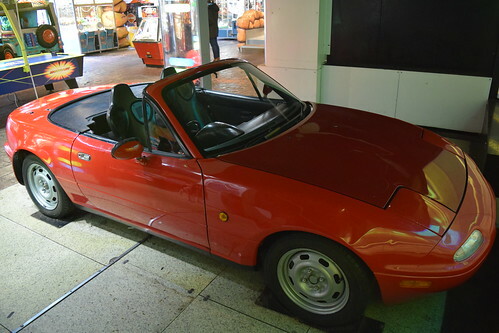 It looked like they had some interesting machines, most of which have now been sold on Ebay. 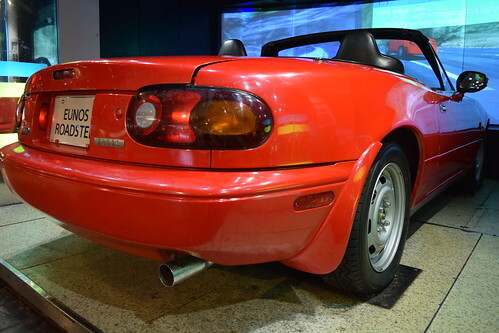 That Cycraft Initial D Stage Ver. 3 is a cool find. 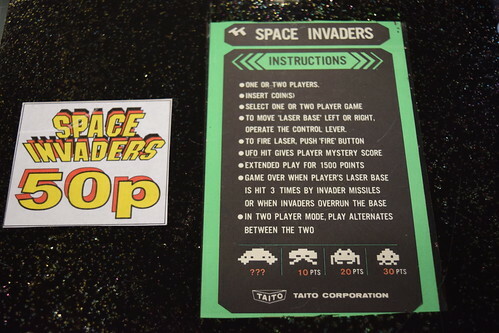 They also had this at an arcade in Clacton. As you say, most of these Simuline cabs have Club Kart installed. It's a fun game, but doesn't do the tech justice. 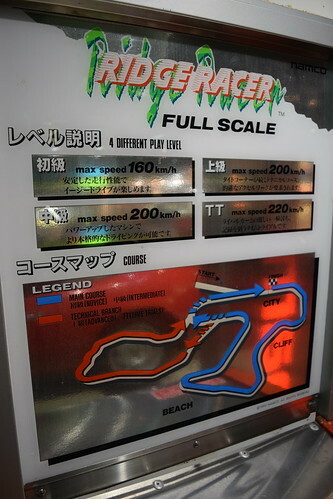 Walton Pier, Essex did have F-Zero AX - Monster Ride Cycraft Edition, which I would absolutely love to play. This was a cancelled project, and only a few were made. 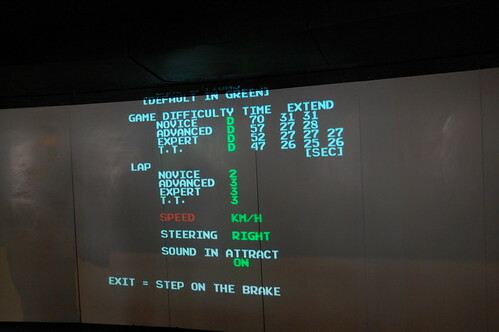 Apparently the huge Nintendo license fee coupled with the £25k cost of the cab made it implausible. A real shame as it's the perfect game for the tech. 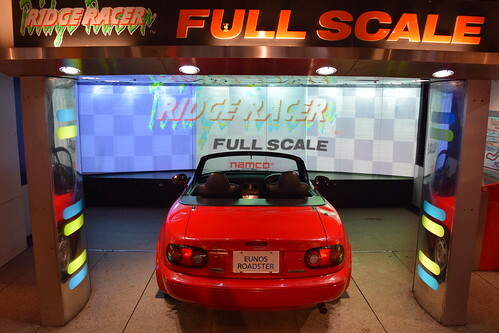 Glad to see the awesome Ridge Racer Full Scale is still up and running. Yes, I had head about the one on Walton Pier. 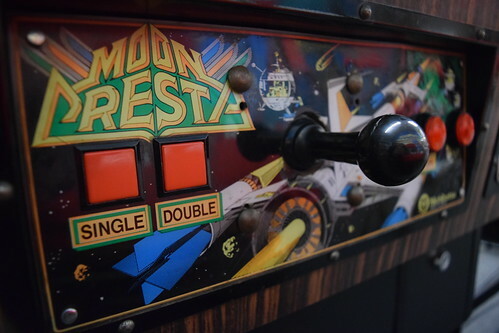 An arcade in Paris used to have one, La Tete dans les Nuages, as well as many other rare Sega games like a 8 player Daytona USA and a huge version of Let's Go Jungle with revolving seats. 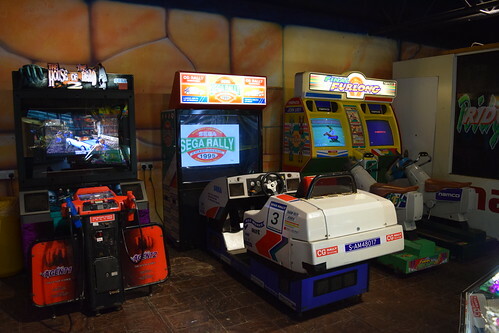 The arcade used to be owned in the 90's by Sega themselves, and though it isn't now, they still supply their games.